I had the opportunity to try out some products from Anastasia Beverly Hills. For those of you who don’t know, Anastasia is a brow guru whom all the celebrities turn to. She has her own salon as well as this product line. I’ve seen and heard about these products but never tried them. I made a video showing a detailed review. In this entry I’ll go through the various products I reviewed for those of you who don’t have the video viewing capability (ahemmm some of you at work, lol). This was actually really nifty. They’re stick on brow stencils that are disposable. It’s pretty much goof proof…stick them on and fill in those eyebrows. I really like them! Of course, I’d be ghetto and reuse them as long as they keep sticking! For $14 it’s affordable so you could give it a try. This products reminds me of the one at MAC. It comes in 5 colors and offers you a light hold, like the regular brow gel, and it really does help to naturally color your eyebrows. I tried caramel and it lightened up my whole complexion. I did a little research and noted that MAC has a similar product for $13.50…sooooo go with MAC, it’s cheaper! They do have only 4 colors instead of Anastasia’s five…but it’s significantly cheaper. 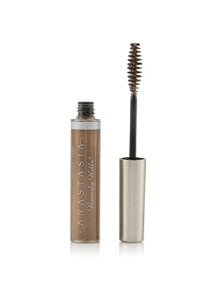 However, if you purchase $75 in products from Anastasia.net, you get a tinted brow gel for free! This little set is pretty nifty. It comes with everything you need to do your eyebrows…except for a pencil. The set includes a cute pink zip up purse, rubber stencils, tweezers, clear brow gel, a duo eyebrow brush/spoolie, and a duo brow powder. It would have been nice if they included a pencil as well so that you could touch up your eyebrows with the pencil after filling it in with shadow. Besides that, the stencils work fabulously. They are rubber and mold to the eye (unlike the Ardell stencils which are plastic and they just make it difficult to hold down). The clear brow gel is very nice as well…I pretty much love the products…what I don’t love is the price…$65! I would have to wait to get this on a sale at sephora…like friends and family. I really like this product. It takes the guessing out of picking eyeshadow colors to use as a highlight. These are creamy jumbo pencils (kind of like NYX jumbo pencils) and they give you the choice of a matte (natural, pink) or shimmer (natural, gold) tone to choose from. They are very creamy so they blend easily with your finger. I like how they’re subtle so you can wear it by itself…or even use it on other areas of the face like your cheeks to highlight. This is a very nice product…once again…kinda pricey though. If there is a similar NYX jumbo color out there as a dupe, you might want to try it. However, I would definitely recommend the shimmer pencil as a highlight color for darker skin tones…talk about fab! This was a typical brow pencil with a spoolie on the end. It did the job just fine…but I think it’s overpriced. I like the Rimmel Professional Brow pencil…it’s around $3 and has an eyebrow brush at the end as well. I couldn’t find a pic on the website, but they had a product called the Brow Wiz. I think it may be sold out. Here’s a pic of it on Nordstrom’s website for $19. It’s a retractable brow pencil with a spoolie on the other end. 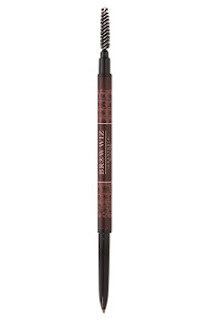 I really really like this brow pencil the best. It’s similar to the brow pencil from MAC…but I like this one better because it’s longer and has the spoolie. I love it! 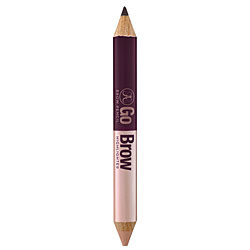 Also not on the website is the Go-Brow Universal Brow Pencil. I found this one on sephora’s website. 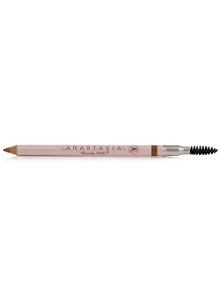 It has a universal color for eyebrows on one end (called a medium neutral brown) and the eyelights matte on the other. This is great since it’s 2 in 1. As far as it being a universal color…I can kind of see that since the color comes out with a gray tone…so it could mimic the effect of a shadow filling in your brow. It’s a chunky pencil like the regular eyelights pencils so make sure you have a jumbo sharpener. All in all…I really did love the products. I can’t complain…they are superior quality and really do make your eyebrows look a hundred times better. If you can afford these puppies, go for it. If not, either try to catch them on a sephora sale…or check out some of my dupes I recommended. 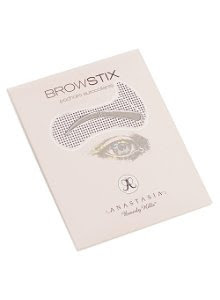 There are a lot of eyebrow products in the market…and sometimes all you need is a regular pencil and eyeshadow…but if feels nice to pamper yourself with an Anastasia product. I was watching the HSN channel today and saw Bobbi Brown makeup on there and they had a nice eyebrow powder! I want a good powder for my eyebrows, but I think theirs was 40 dollars!!!! Can you do a video tutorial or picture tutorial using the stencils on your eyebrow. I'm curious as to see how it would turn out. I was laughing cause the lady on HSN was like, "Your eyebrows are like twins - there's two of them but they aren't identical." lol...but that's true, i guess! my eyebrows don't grow the same! Thanks for the review!! I might have to try it!